There are a few clever tricks you can use to make sure you get the most money for your old phone. Get savvy and you could be looking at hundreds of dollars in the bank instead of sad looking double digits. It’s the difference between dinner out at Taco Bell, or a weekend break away! There is one very important step you can take to ensure your phone will harbor you the most money back. Look after it! Just by putting a good case and a screen protector on your device will mean you could get double the price you might be offered for the phone when you’re ready to sell it. If you want to do it properly, you can invest in a heavy duty phone case which guarantees protection from drops as well as water damage. A good screen protector is also a must. These cost next to nothing and are barely noticeable when you use your phone. It means it will protect your screen from avoidable scratches and chips. If you didn’t quite manage to keep your phone in good nick, then don’t panic. Cracked screens can be replaced and fixed, which will make the phone look almost brand new. While it may be hassle, it is worth the investment. Working phones will sell for much more than broken ones, so the profits should outweigh the fixing costs. If you have an Apple iPhone under warranty, or you have Apple Care+, you may be able to get it repaired for free depending on what is wrong with it. If not, and if you have any other phone not under warranty, then you can use a third party repair company or if you are feeling brave you can try to fix it yourself! Getting your phone unlocked from a network carrier is one sure fire way to boost the value of your old device online. It can get you up to $80 more with some devices, so it is worth that extra bit of hassle. You can do this either for free yourself or by enlisting the help of a pro phone unlocker – your options will vary depending on what phone you have. For Apple iPhones you will need to ask your service provider to unlock the device for a small fee, or use a global unlocking provider like Mobile Unlock. Samsung Galaxy phones also usually require being unlocked for a small fee either through your own mobile network or a third party unlocking service. 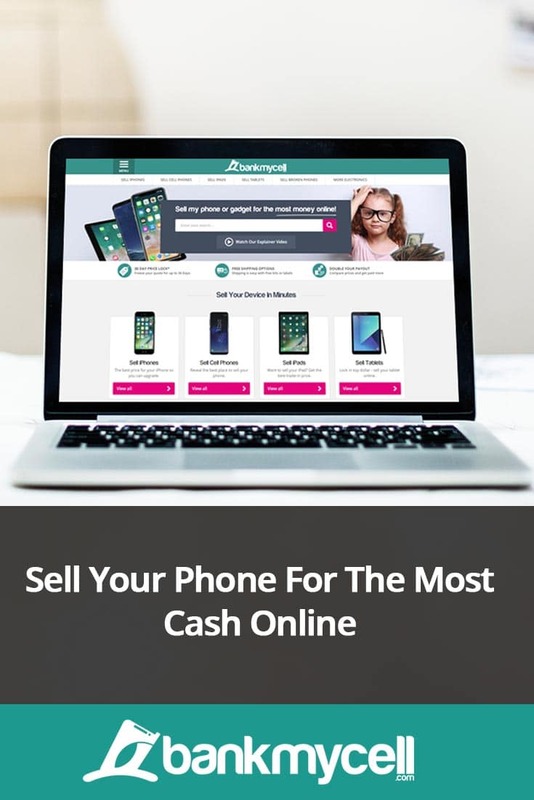 One of the easiest ways to ensure you sell your phone for most cash is to use a comparison engine to do all the hard work for you and find top deals. Comparison sites will use a data base of phone recycler prices in the entire market to find you the best price, and will look after your sale to. Using a site like this means you can pick a company you trust, but you can also ensure you have the best price. It saves you running around the internet, which means you’ll get your cash faster! One benefit of selling your phone to a phone recycler is it also saves you the time it takes to list and item and find a buyer online, while guaranteeing a fair price. Postage is usually free to send your device in. If you don’t want to fix your device, you can also sell broken phones via recyclers. If you’re not wowed by the prices from phone recyclers then you can always see if you could get more for it by selling privately on eBay or through Facebook seller groups. This way you can set your own price, and chat to the buyer themselves. Using a local Facebook group will also send you on shipping costs, as it is likely you can swing by the house and exchange the device for cash! Remember to be completely honest about what state your device is in so the seller doesn’t lower the quote, and get selling! Let me know if you have any questions or feedback by leaving a quick comment below right now!